Summary: Nishal has a relatively happy life in India with her doctor father, twin brother, and grandmother. Her mother died in childbirth, so when Nishal receives a diary for her twelfth birthday, she uses it to write letters to her mom. Soon there is plenty to write about; it’s 1947, and India has just won its independence from Great Britain. The country has been partitioned into two countries: Muslim Pakistan and Hindu India. Although Nishal’s mother was Muslim, her father is Hindu, and the family lives in the area that has become Pakistan. They are forced to leave their home with almost nothing, and to undertake a dangerous journey to Jodhpur, India. Almost dying of thirst along the way, witnessing fighting and killing between the two factions, Nisha draws further into herself, going from being a shy, introverted girl to completely mute. In their new home, though, she begins to recognize the courage and strength she had to make the journey, and the ending promises a hopeful future for her and her family. Includes an author’s note with more historical information and a glossary of words used in India and Pakistan that appear in the story. 272 pages; grades 3-7. 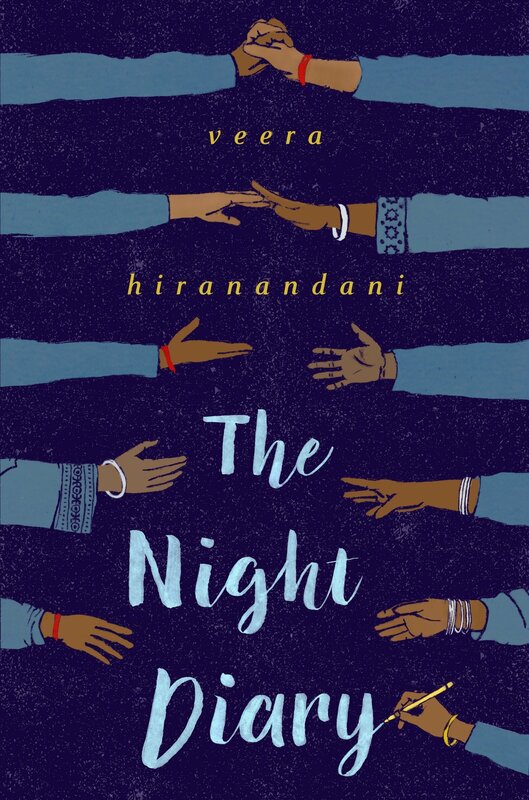 Pros: Excellent historical fiction told by a sympathetic character kids will relate to; I learned quite a bit about 20th-century history of India and Pakistan. The refugee story is a universal one that is still being lived by millions of people today. Cons: The unfamiliar time and place may make this a hard sell to elementary kids. I didn’t know much about the partitioning of India and Pakistan when independence was granted in 1947. This fantastic book opened my eyes to the struggles of millions of people during this pivotal point in history and why this part of the world continues to be in turmoil to this day. I loved the set up of the book, with Nishal writing her daily diary entries/letters to her deceased mother. I agree that most elementary students would not gravitate to this book, but caring teachers and librarians need to guide their readers to it, either through read alouds or whole class guided readings. Worthy of being a Newbery or state award nominee!